The Annual AOC International Symposium and Convention is the leading event for electronic warfare, electromagnetic spectrum operations, cyber-electromagnetic activities, and information operations professionals from around the world. This event brings together nearly 2000 participants from 25 countries spanning industry, military, and government sectors to gather for educational sessions, networking, and of course, exposure to a show floor brimming with cutting edge technologies and services. 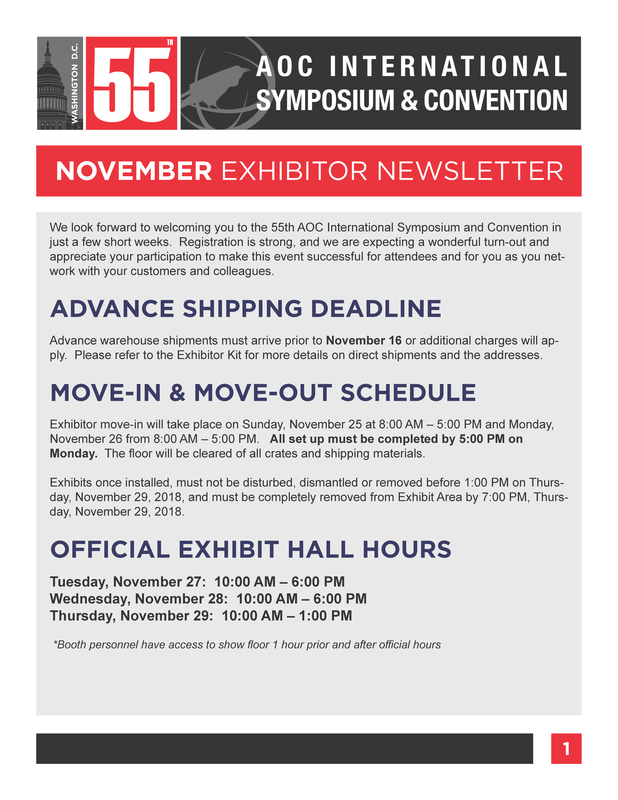 The 55th Annual AOC International Symposium and Convention will take place at the Walter E. Washington Convention Center, 801 Mount Vernon Place NW, Washington DC. Access to AOC discounted hotel rates. Housing block opens July. Login to your exhibitor resource center for a one-stop-shop to update your profile, company description, and manage your experience at this year's event. Click here to access the complete rules and regulations for this event. First-Time Exhibitors - want to know more? Click here!